Born 1973 in Damascus, Syria. - Bachelor of Science, Department of Mathematics, Damascus University. - Diploma in Educational Sciences, Damascus University. - Certified at the Institute of Fine Arts and at the Ministry of Culture, Damascus. - Member the Association of Fine Arts, Syria. Al Ayoubi is a seasoned artist with many awards and accolades to her credit. She has come a long way since her first foray in 2000 and continues to create quite a flurry of interest amongst connoisseurs at art auctions. 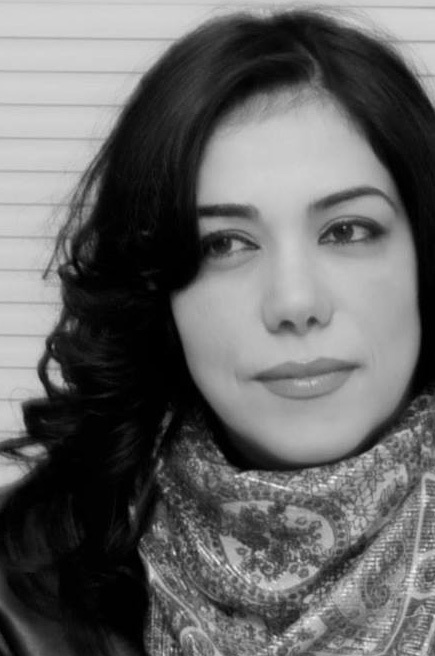 Al Ayoubi has widely exhibited in Syria and Kuwait and her work featured in private collections. Aula Al Ayoubi’s women are enigmatic, glamorous and theatrical. With natural ease, Al Ayoubi captures iconic women from the Middle East on her canvas, be it Faten Hamama, Umm Kulthoum, Soad Hosny or Fairuz. Her larger-than-life images and her attention to the minutest details make for a wonderful viewing experience. Al Ayoubi’s brushstrokes are dynamic, compositions impeccable and colors brilliant. Her unique portraitures are instantly recognizable. Admirably rich in nuance and details, Al Ayoubi paints with captivating grace. Al Ayoubi displays remarkable versatility in her work as she works meticulously to unfold the many cultural icons in her colorful renderings. Her paintings proceed through a number of drafts – conceptualizing, texturing, glazing and layering.